Due to a large number of cars being imported in Pakistan the buying and selling has been in an upward trend. But we are in the era of Information and Technology and according to a survey the physical buying selling is reducing by the time whereas people are now moving towards online auto classified websites like carhub.pk, pakwheels.com, apnigari.com, olx.com.pk, gari.pk and many more. So we have seen majority of these websites being designed and launched in the past 3-5 year's. As it has become an attractive market and owners of these classified websites have invested only a small amount of capital as compared to any physically handled business. So they entered into a new business era of e-commerce web portal which is giving them handsome amount of profits. By the time these online cars classified websites have improved the features and design of the website. Main users of such website are the local car dealers because they have got whole Pakistan buyers at one place. Mostly everyone who can afford a car has an internet connection at their homes. So the local dealers place advertisement of their car on a classified website even before their car has not been arrived to Pakistan say from Japan. They can also show pictures of their car and attract buyers. 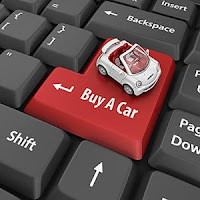 The online cars market is fair and even cheaper than the local market but as well as effective for the dealer of a seller. So you can say it's a win win situation the buyer gets a neat and clean car at a good price. On the other hand the seller can sell his/her car quickly and with good profit margin. I wanted to sell my own car and took it to some near local dealer and showed them. They typically started with their style of finding and showing faults/damages to you to bring down the price and eventually they offered me a very low price. Then I went online and search for auto classified website in Pakistan. I found few website's which I have mentioned earlier. One of them was www.carhub.pk, I personally found this way of selling more convenient and quicker. I placed the ad of my car at one classified website and the very next day I started to get good response. So thumbs-up for guys doing such good work.